Requires iOS 3.0 or later(recommended: iOS 5.0.1). It's a free version of iNotes+ for iPhone($0.99). The features of this version is same with the pro version, just the resource of note is only 3 covers and 3 paper styles. From now on, you just need one note. 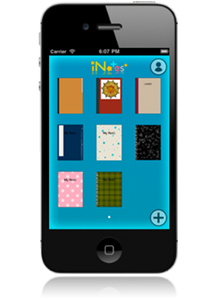 iNotes+ for iPhone is a notebook application for iPhone. You can create a notebook like a notebook on the market with the "Custom Cover" and "Custom Layout" features, and you can also create a unique notebook in the world. iNotes+ for iPhone is the one and only notebook that you'll ever need. It allows you to conveniently write, capture and organize your ideas, notes, diaries, recipes, reminders, picture books, journals, novels or details of life that you want to keep close at hand. 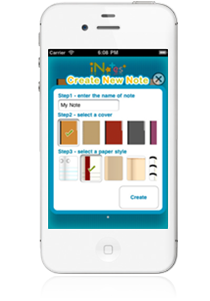 If you got iNotes+ for iPhone, you will get many notebooks you need, and i think you'll like it.